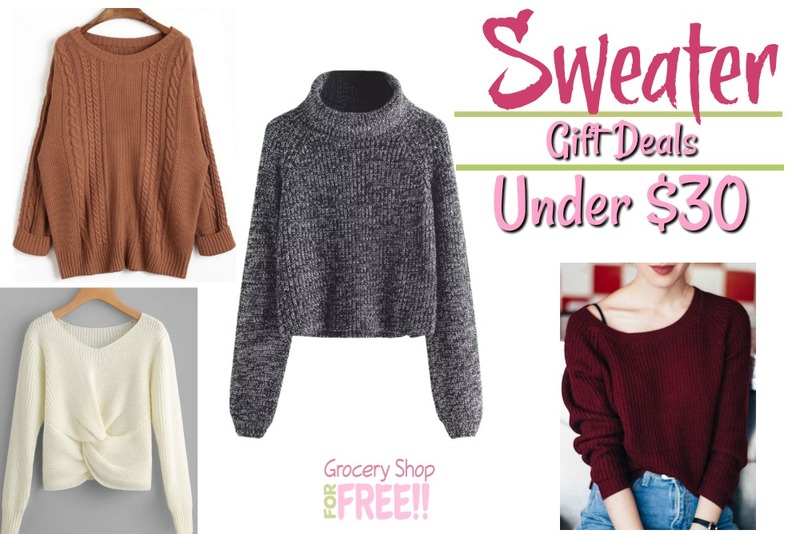 Women's Sweater Gift Ideas Under $30! You are here: Home / Great Deals / Christmas Deals / Women’s Sweater Gift Ideas Under $30! Women’s Sweater Gift Ideas Under $30! Here’s another great gift idea! These Women’s sweaters are all under $30 and oh so cute! Whether you’re looking to replenish your own closet or searching for a great gift for a friend – these are must have!